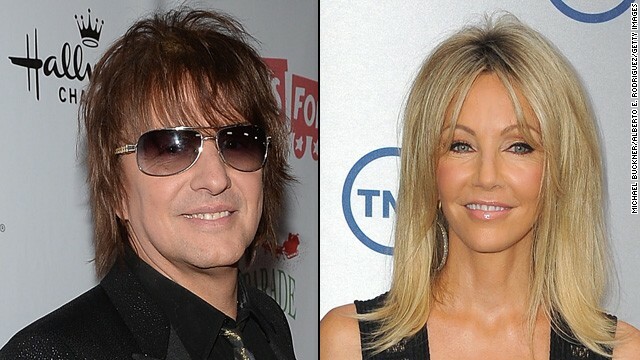 The Bon Jovi guitarist couldn't help but explain how attractive he still finds his ex-wife actress Heather Locklear while talking to People Magazine after a recent event. "She's doing her thing on Franklin & Bash and she looks better than ever," Sambora told People at the recent after-party following the ceremony for his friend Ray Parker Jr. receiving a star on the Hollywood Walk of Fame "She's still hot!" Apparently the couple, who divorced in 2007 and are the parents of a 16-year-old daughter, are on really good terms this days and are past that beef involving Locklear's former friend Denise Richards. The rocker said it's imperative that he and Locklear have a good relationship for daughter Ava's sake. "If you don't get along you are messing the kid up," said. "That's what happens."